Please join us by signing this petition urging the Orthodox Union, the Rabbinical Council of America, Vaad Harabonim of Flatbush, Agudath Israel of America, and Rabbinical Alliance of America to oppose the use of chickens for Kaporos and encourage Kaporos practitioners to do the ritual with money instead of chickens. Our plea is prompted by the horrific cruelty to chickens at Kaporos sites year after year in New York City, Los Angeles, New Jersey and everywhere the ritual has been documented. Thousands of chickens are trucked onto city streets from factory farms. They are crammed in transport crates without food or water for as long as four days. They are deprived of shelter from rain, heat and cold. Often their toes and feet are ripped off during the neglectful handling of the transport crates where they sit miserably immobilized in their own feces. Many die in the crates of starvation, dehydration, heat stress, and fear. Despite claims that the chickens are donated to the poor, most are trashed. A 2017 investigation found that at Brooklyn’s largest Kaporos site in Crown Heights, two thirds of the slaughtered chickens were stuffed in plastic trash bags, sometimes while still alive. Local media filmed slaughtered Kaporos chickens being picked up by a company whose employees said the corpses would be turned into biodiesel. Dozens of trash bags full of dead birds were loaded onto the truck. The lack of refrigeration at most Kaporos sites means that the birds cannot legally be used for human consumption regardless. In light of these facts, many leading rabbis have come out against the use of chickens for Kaporos including some who once used chickens but now use money. They include Rabbi Shlomo Aviner, Rabbi Yitzchock Kaduri, Rabbi Chaim David Halevi, Rabbi Shlomo Zalmen Auerbach, Rabbi Shlomo Goren, Rabbi David Rosen, and Rabbi Gershon Tannenbaum. 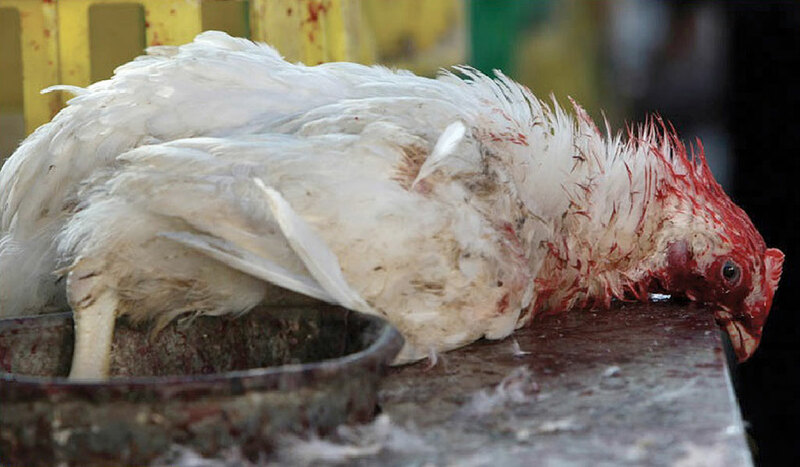 Please sign and share this petition urging the Orthodox Union, the Rabbinical Council of America, Vaad Harabonim of Flatbush, Agudath Israel of America, and Rabbinical Alliance of America to join these rabbis by officially opposing the use of chickens for Kaporos and encouraging practitioners to perform the ritual compassionately with money instead of with living creatures.